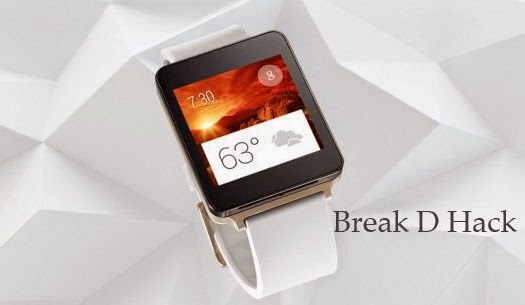 One of the leading smartphone maker LG has a new gadget up its sleeve, its the smart watch and they are going to use the new operating system based on Android which Google had released some time last month, Android Wear is going to power the wearable devices made by companies which have an association with Google. Motorola is also coming up with its own smart watch which is also powered by Android Wear, both these watches were announced along with the release of Android Wear. LG has a very good partnership with Google, the nexus line up is certainly made by LG as of now the Nexus 4 and 5 are some awesome devices, not just because of the pure vanilla Android but also due to the awesome hardware it packs with it which is provided by LG. We are said that the watch will be coming out in the second quarter of 2014. The watch is dust resistant and water resistant which seems to be a trend right now. The watch is expected to come out is two colours stealth black and champagne gold, but we would like it to come out in further more colours so give it a thought LG. One of the best feature of the watch was announced, it is said that the display in the watch wont sleep, it will be on all the time, this leads to a question what will happen to the battery level, how often should it be plugged in to charge. The display showed some rich colours in the promo videos so how are they going to manage the problem of draining the battery, lets hope they got a good way to solve the issue. The another feature in the watch is that when you say "Ok Google" it will automatically listen to what you say and help us out like Google Now in Android mobiles.